Wimmer has updated their performance package for the Merc C63 AMG. Wimmer RS has just released the first photos of their latest aftermarket project, the Mercedes-Benz C63 AMG &apos;Green-Blue Eliminator.&apos; Back in April we saw a performance package for the same model, and this similar yet updated program receives a radically new paintjob and some serious ceramic brakes. Again, power and performance was the focus of the German company&apos;s program. The first thing on the docket for Wimmer RS was the Merc C63 AMG&apos;s engine. The performance package takes the output of the 6.2-liter naturally aspirated V8 motor up quite a bit, as it now puts out around 600hp and 531 lb-ft of torque. 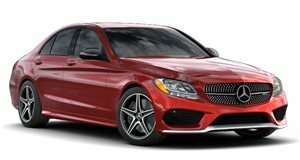 In comparison, the standard C63 AMG puts out 480hp and 443 lb-ft of torque. The extra performance was achieved by new cylinder heads, K&N sport air filter with a custom manifold, sport camshafts and a hand-made stainless-steel exhaust system. All the added performance is good for a 204mph top speed. Sitting on a set of lightweight 19-inch alloy wheels, a MOV&apos;IT ceramic brake system and KW Clubsport coilover suspension are expensive additions that give the C63 AMG a perfect setup for the track. The Mercedes-Benz C63 AMG &apos;Green-Blue Eliminator&apos; by Wimmer RS will go on display at the Essen Motor Show. The performance package for the engine costs €19,900, the MOV&apos;IT brakes run €22,000 and the KW Clubsport Coilover suspension prices at €2,600.